The DJI Osmo is a camcorder manufactured by DJI. It is capable of shooting 4K UHD, and 12-16 MP within a maximum of 64 GB microSD storage. 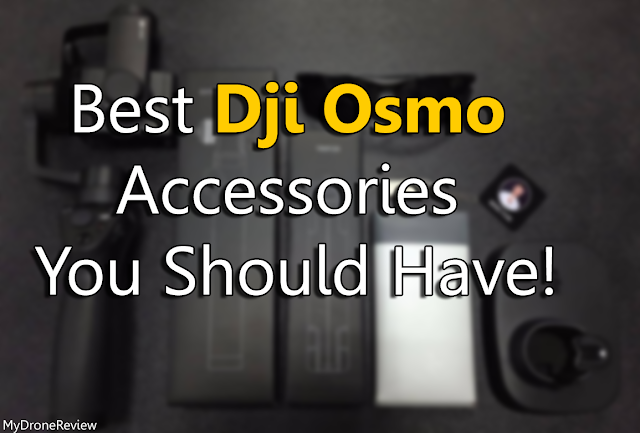 To maximize your Osmo mobile, we recommend you a few must-have accessories. Make your Osmo experience go from great to outstanding. Let’s dive in! The Dji Osmo comes with a 980mAh Intelligent Battery for up to 4.5 hours of use. But for complete reliability, why not go for the 1225mAh High-Capacity Intelligent Battery? It lets you use the Osmo for up to six hours, a huge boost when you’re on the go. 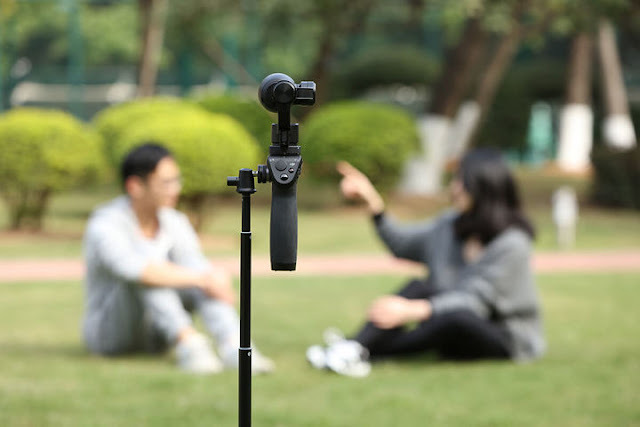 The RODE VideoMicro is a cardioid microphone, which specially design to improve the sound quality of videos on the basis of build-in microphones. With both TRS cable and TRRS output cable included,it can be used on Smartphones, cameras, camcorders, audio recorders, PCs, and other audio/video recording devices. RODE VideoMicro comes out in compact size and light weight aluminium constructure , it will not be a heavy burden while shooting. 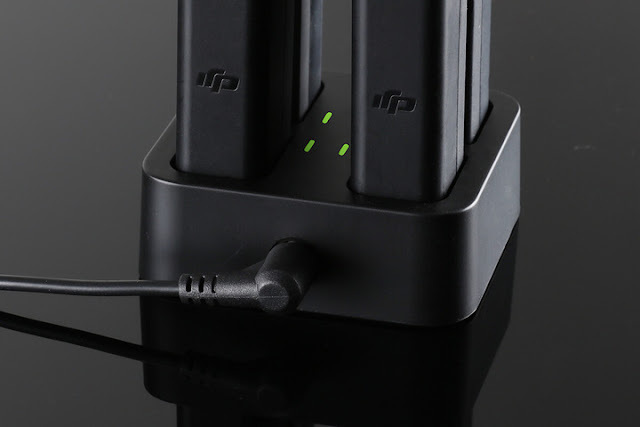 Plug and play design,no need to worry the battery status. Included inside with a anti-shock mount,which can effectively reduce unwanted vibration, cable and handling noise. Also included a furry windproof shield,which specially used for minimizing the wind and environmental noise for outdoor recording , make sure the sound crystal clear. • Compatiable with Dji osmo, smartphones, DSLR cameras, Consumer Camcorders, PCs etc. The ND filters reduce light hitting the sensor, which slows down the camera's shutter speed. This creates a more natural looking motion blur that smoothes out footage and helps reduce the appearance of "jello" effects from the camera's rolling shutter. A flat surface to stand your Osmo can be hard to find. In this case, the Osmo Tripod is the perfect solution. Compact when folded, pack this tripod anywhere you take your Osmo Mobile. The Tripod must be used with the Extension Rod. The Extension Stick for Osmo from DJI is a pole-style accessory designed to broaden the types of shots you can achieve, especially high angles and selfies. It can also be used to connect the camera with standard 1/4"-20 accessories such as a tripod or monopod. It's compatible with the Osmo, Osmo+, Osmo Mobile, Osmo Pro, and Osmo Raw. It's compatible with the Osmo, Osmo+, Osmo Mobile 2, Osmo Pro, and Osmo Raw. The Bike Mount for the Osmo provides a secure and stable platform to mount the Osmo on your bike's handle bar. It's compatible with the Osmo, Osmo+, Osmo Pro, and Osmo Raw. Having to stop everything to charge up forces you to look for an open outlet then plug in and wait until you get an adequate charge. The Osmo Quad Charging System charges up to four 980mAh batteries from empty to full in just 100 minutes, and four 1225mAh batteries in 120. The Straight Extension Arm for Osmo from DJI allows you to use multiple rosette-based accessories at once. It attaches in place of the mobile device holder, and can be used with the Bicycle Mount, Universal Mount, and mobile device holder all at the same time. It's compatible with the Osmo, Osmo+, Osmo Mobile, Osmo Pro, and Osmo Raw. Nothing says “essential” more than the Dji Osmo Base. It sets the Osmo perfectly upright and sturdy so that you can place it on a coffee table for group pictures or incredible panoramas. The Base also makes for an excellent way to store your Osmo when it’s not in use. And there you have it, six excellent Osmo Mobile accessories to upgrade your shots.